Boston, MA (July 6, 2018) – A hit and run accident featuring injuries was reported to Boston police very early Thursday. At 12:01 am, police were summoned to 53 Mount Everette Street in reference to a potential hit and run call. Police responded to the scene. BPD officer Ryan Egan took over the investigation. Officer Egan found one vehicle which had clearly been involved in an accident. He subsequently learned that a second vehicle had just fled the crash scene. The operator of the first vehicle did suffer injuries of an unknown severity as a result of the crash. A Boston ambulance was called to the scene to assist with medical treatment. Police are expected to charge the hit and run driver once they are able to apprehend them. The crash investigation remains ongoing while police search for a suspect. Being injured in an accident is scary. Car accidents are unexpected and seem to happen at the most inopportune times. They happen suddenly and leave you wondering how you will recover or how your family might be impacted by the residual effects of the crash. After an injury accident, there is no doubt that you are looking at a number of uncertainties about your future. 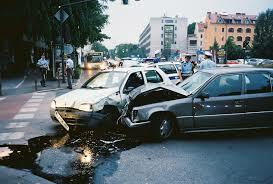 You may receive calls from insurance companies in the aftermath of your accident. They will want to send someone out to evaluate the damage to your vehicle and will inquire about your injuries and medical treatment. The adjuster will also want you to give a recorded statement about the accident and what occurred in your own words. If you have been hurt, you should never speak with the insurance company until you have first spoken with a personal injury attorney. Your attorney will deal with the insurance company so that you can worry about more important things such as your healing. At the Law Offices of Jeffrey S. Glassman, we want to assist you as you work through one of the most difficult and trying times of your life. When you hire our firm there is no fee unless you recover.